back to the garden... flower power comes full circle: Mountain High: Rainier Indie Film Festival awards 'Garden'... "Best Documentary"
Mountain High: Rainier Indie Film Festival awards 'Garden'... "Best Documentary"
photos: top 3, courtesty of Phil Eichner...bottom pic: New 'Garden' fan, James Stevens with Jude on location. "Back to the Garden" flower power comes full circle, received the "Best Documentary" award at last weekend's Rainier Independent Film Festival in Ashford, Washington. 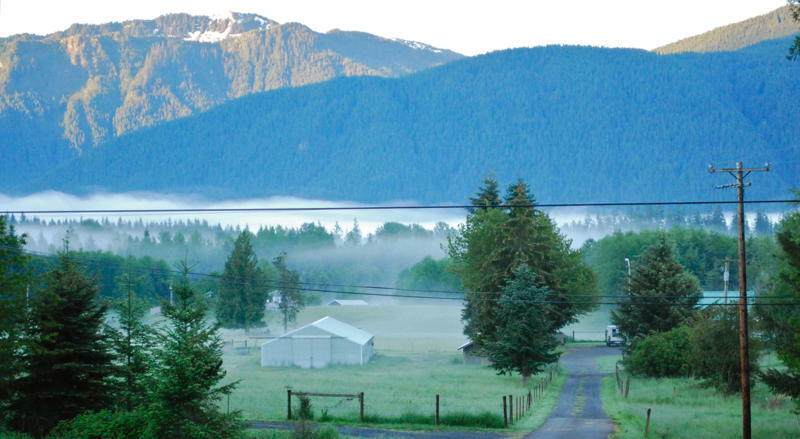 The festival, founded by film industry and mountain climbing vets, Win and Sarah Whittaker, also awarded best feature film to "The Immaculate Conception of Little Dizzle" directed by former Seattle Janitor, David Russo...now being distributed by Robert De Niro's Tribecca films. 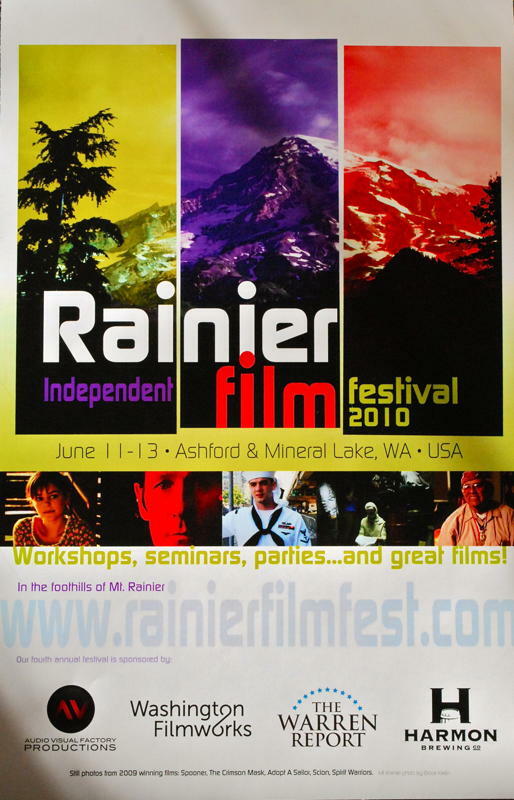 We loved Rainier's attention to details: the high quality digital projection, great sound, venue variety (including a school gym and a cozy yurt) ...and a terrific workshop by Warren Etheredge of the "Warren Report" to top it all off. A relaxed opportunity to really get to know other filmmakers, quaff some great microbrews and fill your lungs with the freshest mountain air in the world. Our Rainier hosts, Win and Sarah are filmmaking veterans having produced first class documentaries themselves ie. (Sherpa-The Proving Grounds) and make every effort to help filmmakers feel the love...which we truly did. The Whittakers run a tight, organized weekend of screenings that feels like the Telluride Mountain festival. You might have hooted with the owls the night before but be ready to show up for the 9am screening the next day...and people DO!